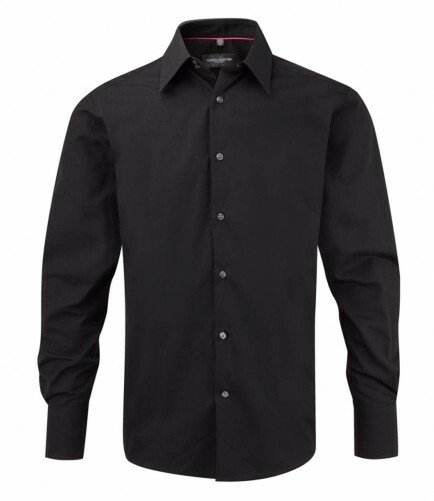 A long sleeve Tencel® fitted shirt ideal for embroidery. The Russell Collection 954M Long Sleeve Tencel Fitted Shirt in 54% cotton/ 46% Tencel Lyocell Twill. Back yoke with triple stitch detail. Pearlised buttons on colours, white on white. Stiffened, semi cut away boned collar. Double button collar stand. Stitched down box pleat on back of sleeve. Two button cuff plus button on cuff gauntlet. The Russell Collection 954M Long Sleeve Tencel Fitted Shirt features 136 gsm fabric.